Show off the one that didn't get away by placing your favorite Fishing Trip photo in these stylish Fishing Personalized Wood Picture Frames. Our Fishing Personalized Wooden Photo Frames come in three sizes, please choose from, 4"x6, 5"x7" and 8"x10". Each Personalized Fishing frame included an easel back which allows desk display. Every Fishermen personalized gift includes FREE Personalization! 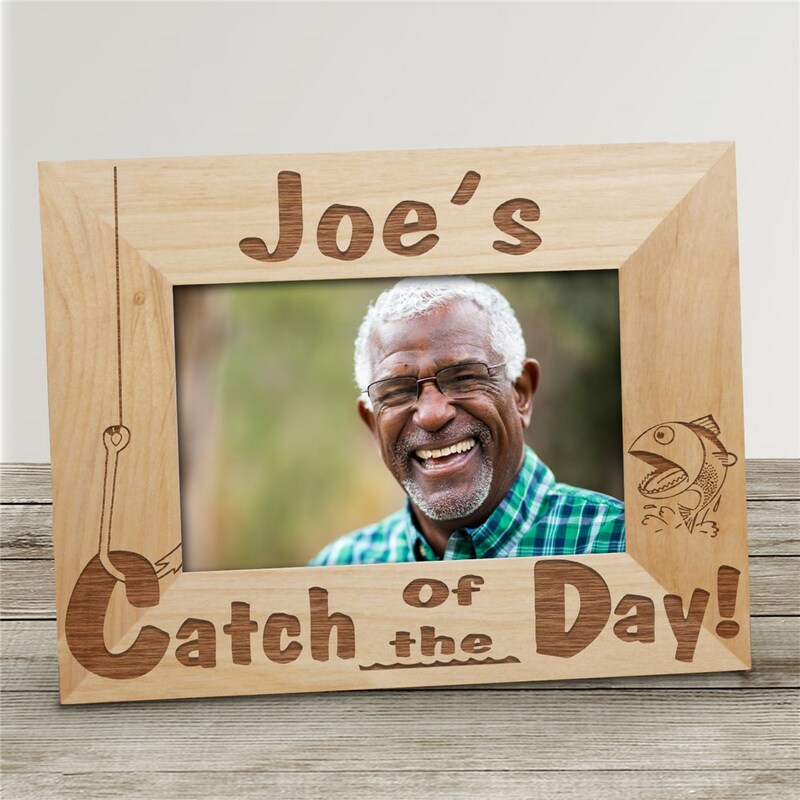 Personalize your Catch of the Day Fishing Photo Frame with any name or title. and Catch of the Day. Be sure to look at our entire collection of Personalized Fishing And Hunting Gifts for Him. These Personalized Fishing & Hunting Gifts are perfect gift selections for Father's Day, Birthdays, Anniversaries & Christmas.